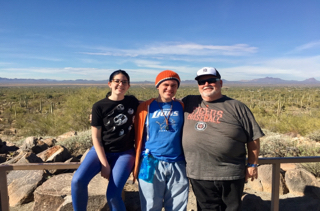 This was a great short trip to Arizona. My mom is here with us for the winter and she has a wish to see every National Park in the US. We also thought it would be fun to play tourist so on Friday we stopped off in Tombstone. We went on Dr. Jay’s walking tour. It was fantastic. 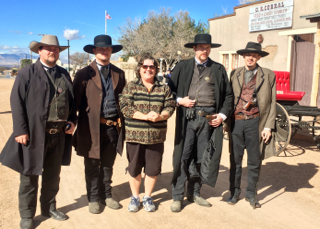 Dr. Jay was dressed in period clothing and walked us literally and figuratively through the town telling us what life was like and how the shoot out with the Earp brothers and Doc Holiday really went down. The pre-Hollywood version. It was a really great day. We finished up our evening relaxing in our hotel watching a movie together. We watched August Rush (Tim’s choice) and Ciraline (Hanna’s choice) while we ate an easy dinner of sandwiches. Saturday we added a new National Park to mom’s checked list. 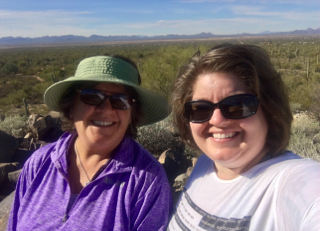 We went to the Saguaro National Park (West). The weather was perfect, about 70 degrees. 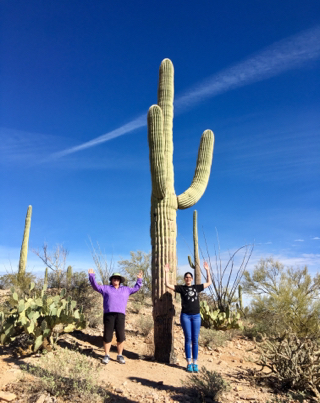 We were all impressed with the unique cacti, the Saguaro, only found in southwest Arizona and into Mexico. 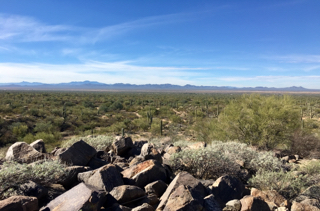 The cacti are found in exclusively in the Sonoran Desert. We hiked and explored a bit. We really enjoyed being outdoors. 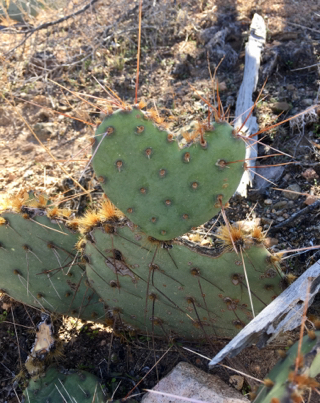 We found this cute heart shaped Prickly Pear. After we left the park we stopped at the Dessert Museum. This was great, too. We spent a good 3 hours here. And easily could’ve spent the day there. It’s a botanical garden and a zoo. It very much focused on the desert life. Everyone’s favorite thing here was the Raptor show. It was well done, we saw a few different hawk varieties and an owl. They were trained to impress us with their natural skills and flew very close, as if we weren’t even there, you could feel the wind of their wings more than once. 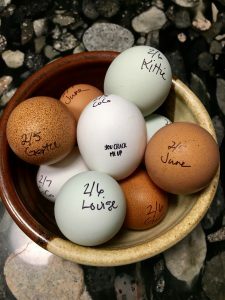 We learned they were rescued birds from various life altering events, in one case a nest was left abandoned when the mother bird flew into an electric fence. These baby birds would have starved to death without help. To round out the weekend we did a little shopping on Sunday. My daughter wanted to go to Lush, where she grabbed some bath bombs and lotion bars. My husband snagged a Arizona State shirt. 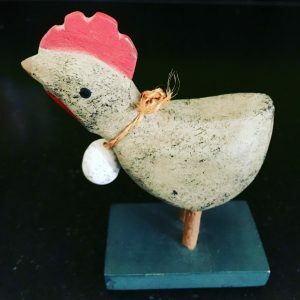 I went to Papyrus and Michael’s. We don’t have great shopping here in Las Cruces and we love to stop at some of our most missed shops when we travel. I have a few things I’m really excited about. I’ll photo those and get the info up here, too. Previous Post I need to step it UP!